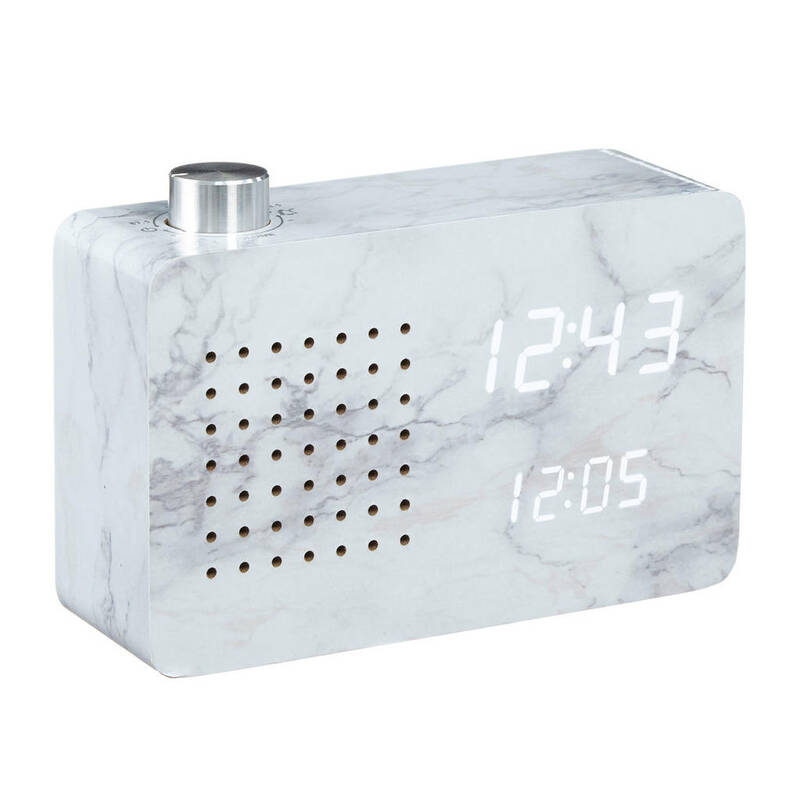 The new Marble Radio Click Clock - strong, but certainly not silent. 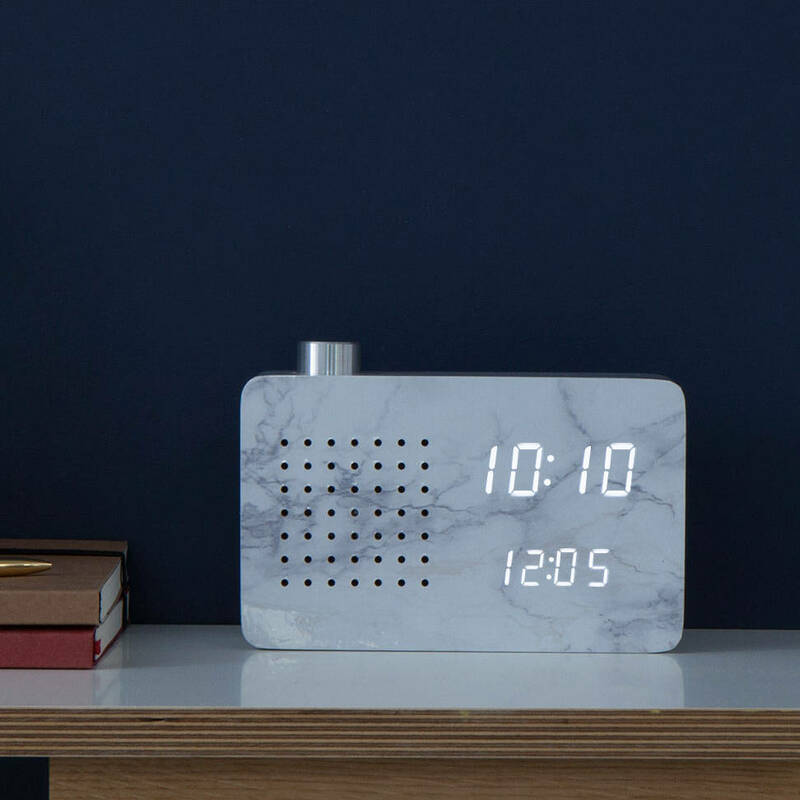 The Radio Click Clock also still includes all the fantastic features of our other Click Clock ranges- a gentle tap of your side table, a clap of your hands, or a click of your fingers and the display magically lights up for a few seconds with the time, date and temperature and disappear while it’s quiet when the radio is not in use. 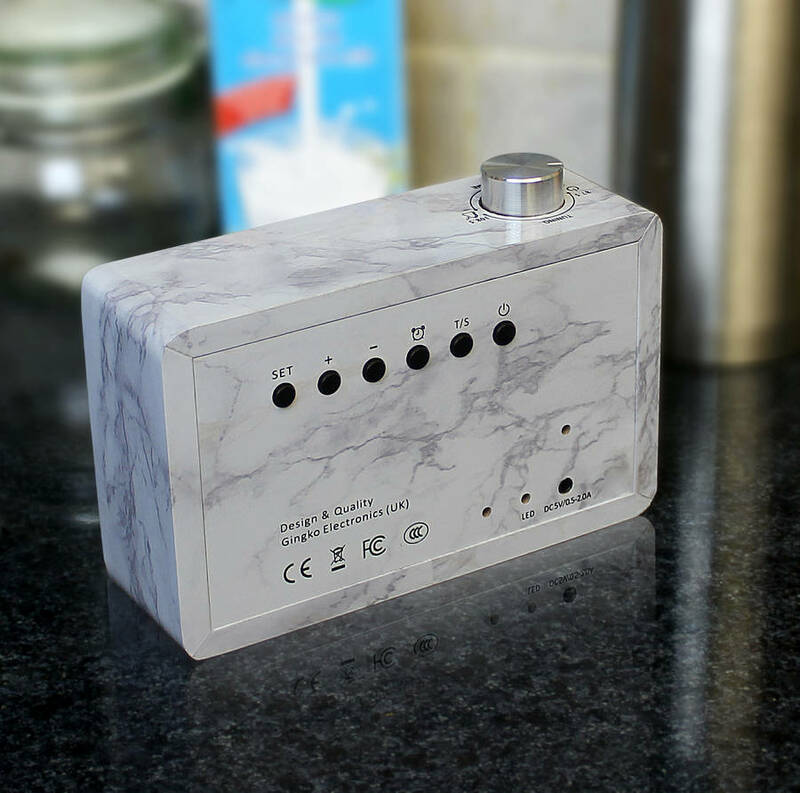 So you will never ever need to worry about the constant bright light in your bedroom to disturb your sleep anymore. However, if you prefer to have a glow in your bedroom while you sleep, it can be set on permanent display as well.